Serfilco Cycle-Clean manual precoat and backwash filtration system. 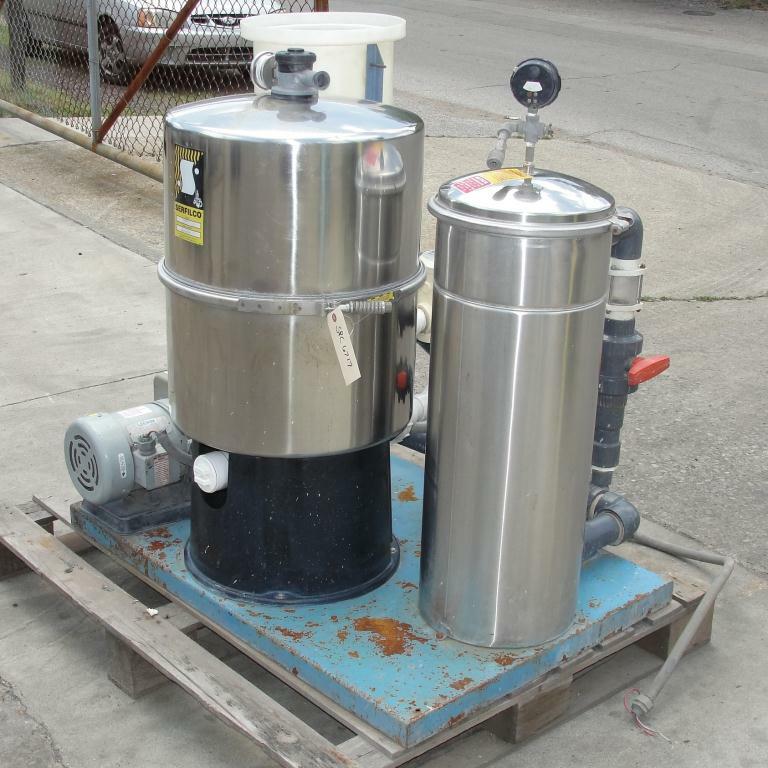 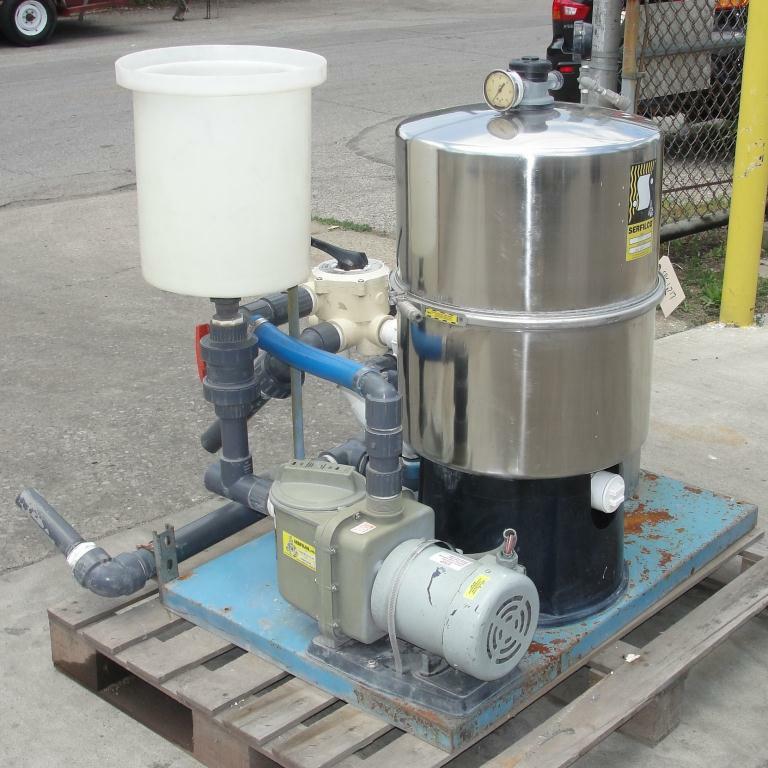 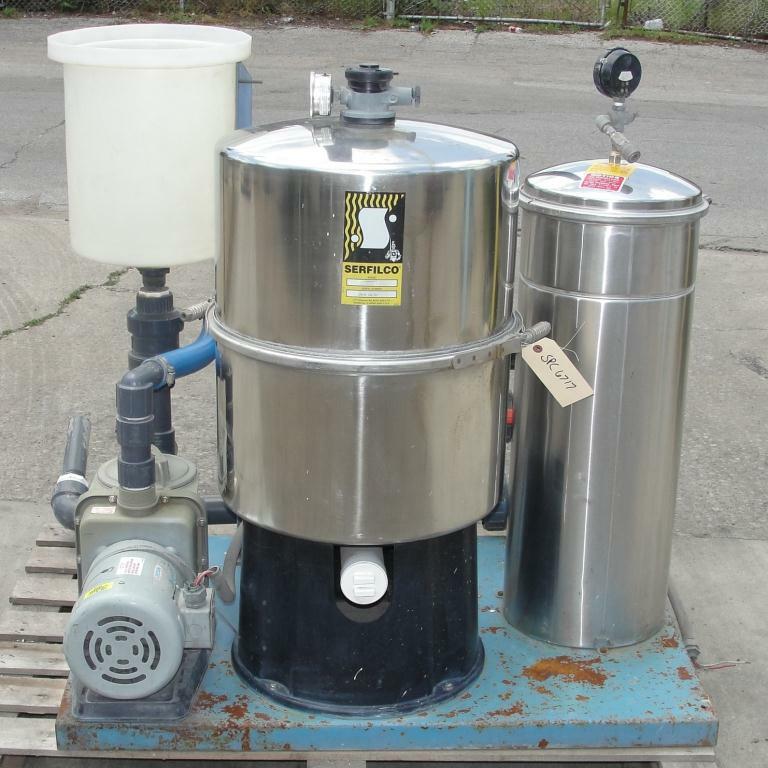 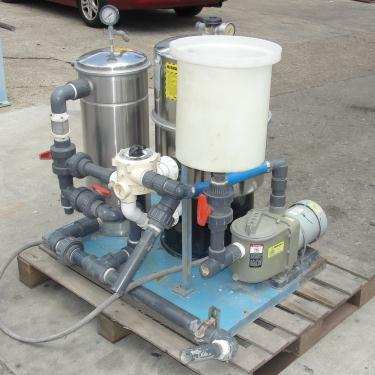 The filtration system consists of a stainless steel filter chamber with 36 sq ft filter area synthetic filter leaves and non-metallic manifold, a stainless steel bag chamber, a plastic slurry tank for receiving new filter powder, and a 1 hp 3450 rpm centrifugal pump with basket strainer and an estimated 33 gpm flow rate. 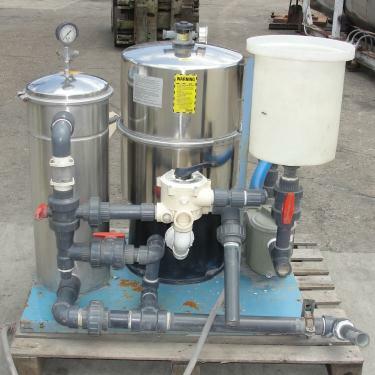 Broken PVC piping. 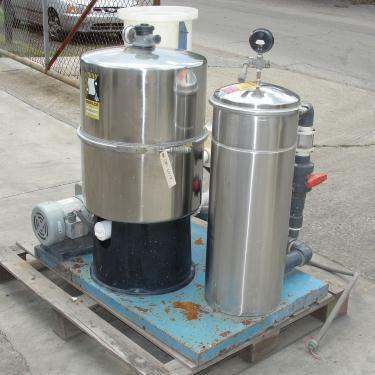 Requires 230/460 vac 3 phase electrical supply.